New York is a already a dangerous place as is. Add in the whole criminal underbelly with prices on your head? You have a bona fide warzone. 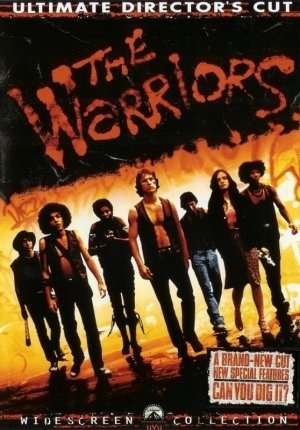 The Warriors takes place in a supposed future Big Apple (debatable) in which gangs are constantly at war with others for turf. Tonight is different though. The Coney Island stationed Warriors and numerous other gangs are asked to travel to the Bronx and send nine gunless delegates to attend a gathering in the Bronx led by Cyrus, the leader of the largest gang of the city known as the Gramercy Riffs. At this gathering in the park, Cyrus proposes the idea of a super gang, as one working unit of 60,000 members could control a city that only employs 20,000 police officers. At this point, all of the gangs are under a truce, and are electrified with the super gang prospect. That is, until a rival gang leader, Luther, shoots and kills Cyrus, and sends the meeting of the minds into bedlam. He frames the Warriors for the death of Cyrus, and other gangs jump and beat Cleon, their leader, in the fracas. Now with no Cleon, war chief Swan must step to the mantle. His objective? Lead what basically amounts to a suicide mission by walking through enemy territory just to get back home to Coney Island. 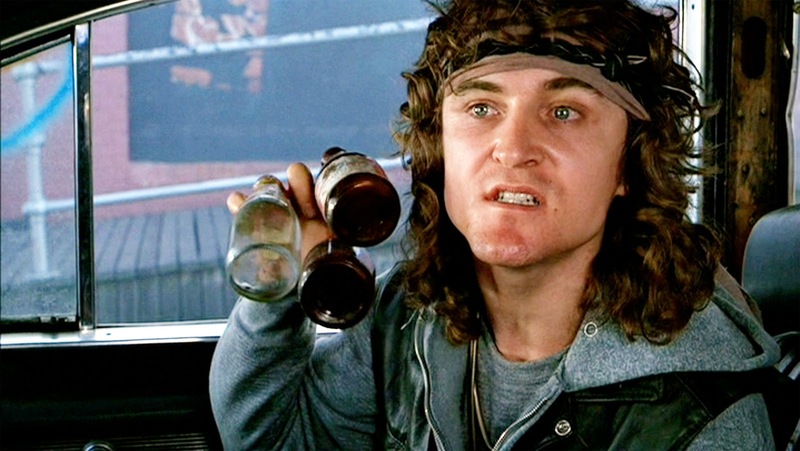 The Warriors is now 35 years old, and has acquired a cult following since. Is it a particularly great movie? No, not really, but it is entertaining and does not overstay its welcome at a brief 90-ish minutes. Intended as a futuristic dystopian movie, director Walter Hill (48 Hrs, Aliens, Undisputed), never fully achieves this goal but doesn’t completely miss it either. I did get A Clockwork Orange vibe to the movie, (not thematically), but this was present at the beginning and supported by the futuristic track as the gangs make their way to the Bronx, which is a great musical theme by the way. The rest of the film actually serves as a period piece, unintentionally. It is somewhat dated in this sense, as today we could not see or do not see gangs dressed up in this manner, or go to war without any bullets. At the same time, it is a bit refreshing to witness rumbles being solved by fisticuffs and not heaters. The fight scenes themselves are not mind-blowing but pretty well choreographed, and make use of surroundings. With that said, I believe more encounters with enemy gangs could have been shown. Just do not expect anything too visceral. If this movie were released today with no discernible differences, the only thing that would give this film an R rating would be the language. It is not gratuitous but it sounds like how gangs talk, so it fits. The dialogue surrounding the language is another issue. At times, it is downright abysmal. Maybe it was written to be that way, or maybe it was just natural 70’s talk. And the blame cannot be solely on the dialogue as a good chunk of the acting is mediocre at best, and pathetic at worst. My remedy? Just take all of the flaws as comedy, and there are more than a few. And yet, this movie just works. There is evident chemistry among The Warriors gang, surely a byproduct of the ploy the director used in a real effort to create an unified “gang.” As a result of this, it made their journey easier to invest in. The film does an extremely solid job of creating scale. The gathering scene in the park feels like something big, because it is. When the Warriors attempt to get from the Bronx back to Coney, it feels like a long way to traverse. Much praise goes to these aspects, as this easily could have felt small and compromised the film. There is also a distinct visual style featured in the film. The director’s cut of the film bears a comic book flair that is not overt, but subtle between some scenes and flows quite nicely. To my knowledge, the “original” theatrical version can still be found in some corners, but it is not remastered nor holds the director features like the director’s cut does. If you decide to buy this film, definitely opt for the director’s cut. I believe the movie has become such a cult hit in large part due to some of the stories surrounding its release, and how seamless it has linked into pop culture. Not everything was controlled on set. Supposedly, many extras were actual gang members which gave a semi-realistic air to the movie, and those gangs who were not cast in the movie sent death threats to production. Upon the movie’s release, there were many reports of violence and criminal activity inside the theaters, and Paramount even repaid damages, released a new poster, and pulled it in some cases. 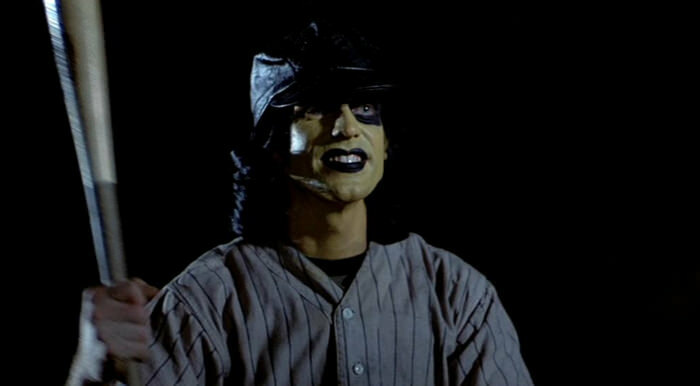 In the years following, many films, music, and television shows have spoofed, implied, or alluded to The Warriors, from The Diplomats ‘”Crunk Muzik” music video to Regular Show. There is no huge twist, underlying theme, or real message in The Warriors aside from the “all for one brotherhood” aspect. So, if you are expecting any of these features, you may be disappointed. But if you can enjoy the film at face value, there is a lot of entertainment here for 90 minutes, and the director’s cut adds to it. Can you dig it? WARRIORS COME OUT AND PLAY!!!! Such a classic line, from a fun as hell film. I watched when I was a lot younger, when I wasn’t such a…..critic. So, I loved it! It’s real fun. Even the parts that don’t translate to critical acclaim make for great entertainment. Definitely is worthy of cult classic status. One of my all times favorites. I actually like the director’s cut, but many fans seem ready to blow up over it. You probably know more about it than me, but the director’s cut seems to flow a bit better and I loved the comic transitions. A must buy in the director’s cut version if someone is planning to buy. Cult classic all the way! Loved the music too. Thanks for the visit.